Denos is quite the character around here! 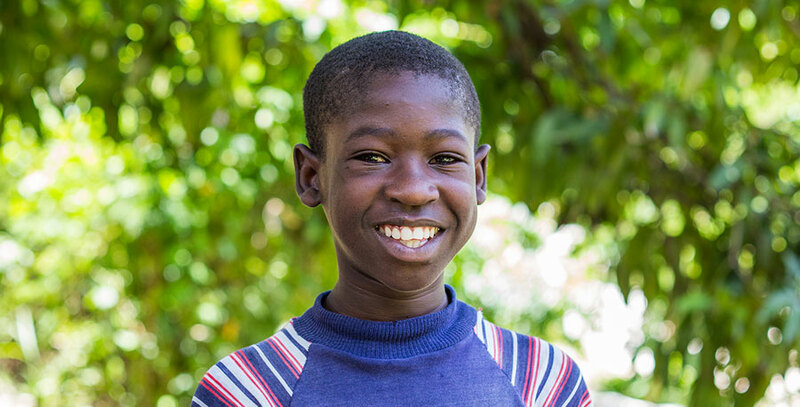 He is a very energetic boy who was one of the first children to live here in the Fond Blanc Orphanage. He and his half-brother, Franklin, moved here when it opened in 2010. Denos is from the village of Cabaret where his parents and siblings still live. He has 4 sisters. His father is a farmer and sells corn, watermelon, and bananas in the market in Cabaret. To be honest, Denos doesn’t really like anything about school. But he also says there’s nothing he doesn’t like about it. He just does it because he has too! He does know that he would like to be a doctor when he grows up though. He hopes to be able to help people when they are in need. He loves to play marbles, especially with his best friend Peter.